All school boats have to be designed to fulfil a certain sailing role. 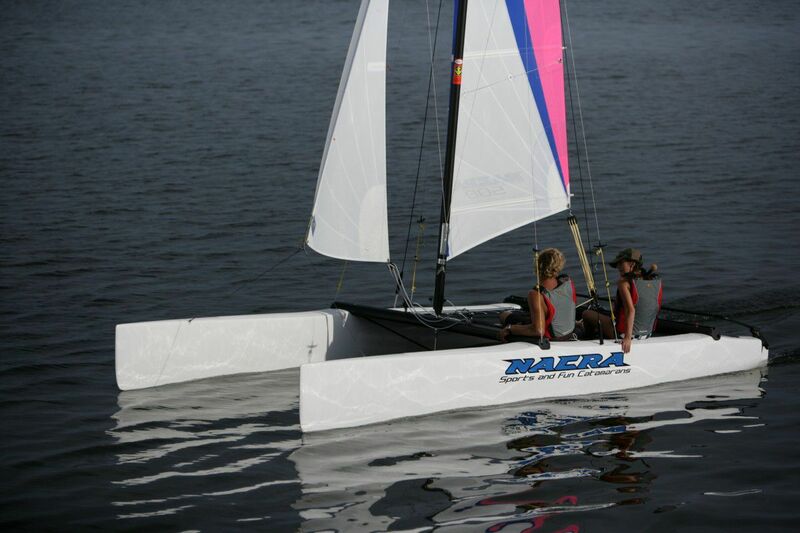 The Nacra 500 School does just that. She is a “proper catamaran” something not all school boats are !! She is modelled on the successful 500 but with Dacron boomless main and jib. The advantages of moving to Dacron, for the school boat is that the main can be reefed allowing her to be sailed in a wide range of conditions. Which is important as when new sailors come to school, they are excited and want to go sailing and not be told that there isn’t enough or too much wind. So the 500 School sail plan is flexible, allowing this boat to be sailed in a wide range of conditions. 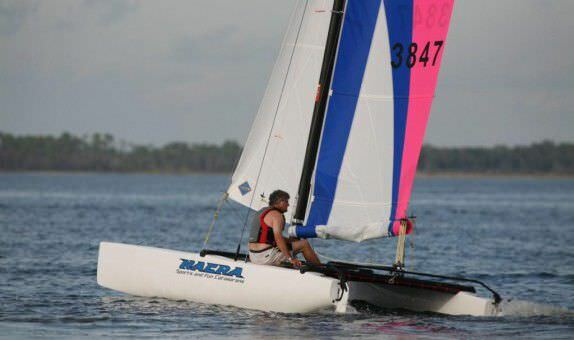 Large buoyant hulls give good ride capacity and all the quality features of Nacra are all there, nothing is omitted. Double trapeze, adjustable for individual height, Harken gear throughout, extendable tiller extension, tight polypropylene trampoline, kick-up rudders, rotating mast, the Nacra 500 School is a true catamaran and makes the perfect learning platform.